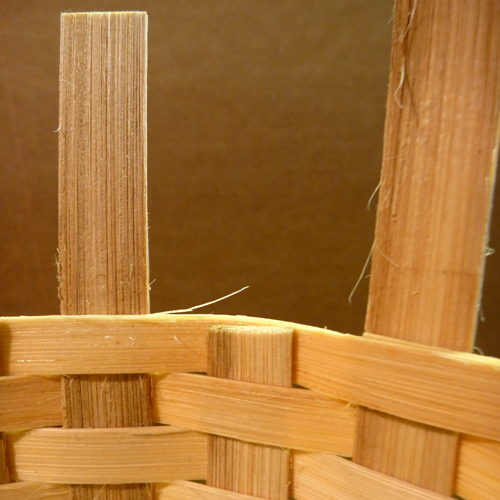 After the last row 3/8” reed has been added to the basket, the sides of the basket are complete. The next step is to clip and tuck the horizontal and vertical stakes. Notice that every other stake is on the outside of the last row of 3/8” reed, and the rest are on the inside of the 3/8”. 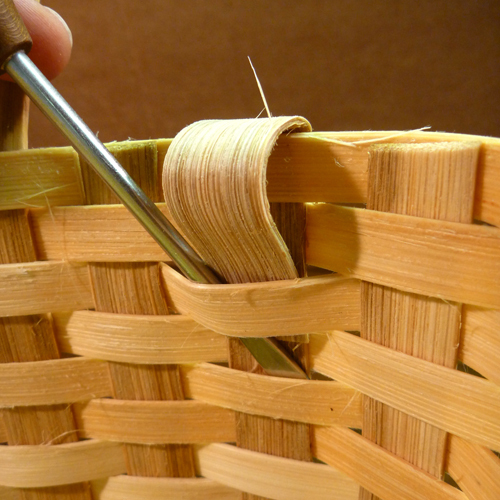 Step 1: Begin by measuring the outside stakes by folding them to the inside of the basket. 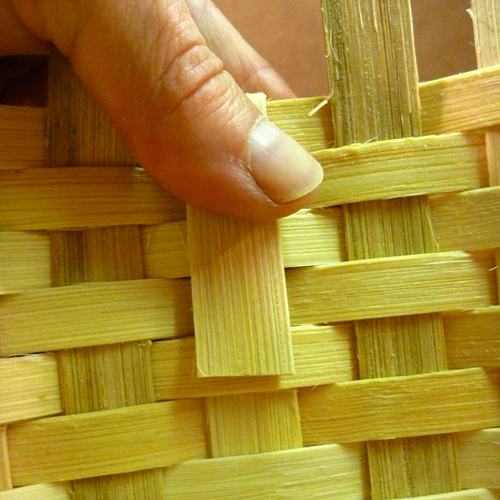 You want to be able to tuck the stake into two or three rows of the weavers, so clip the stake to fit behind the weaver. Helpful hint: After clipping the first stake to tuck behind the weaver, you can create a “cheat sheet” by using a scrap piece of reed to cut a template for the right length of the stake. Use that template to measure and clip all the rest of the outside stakes! 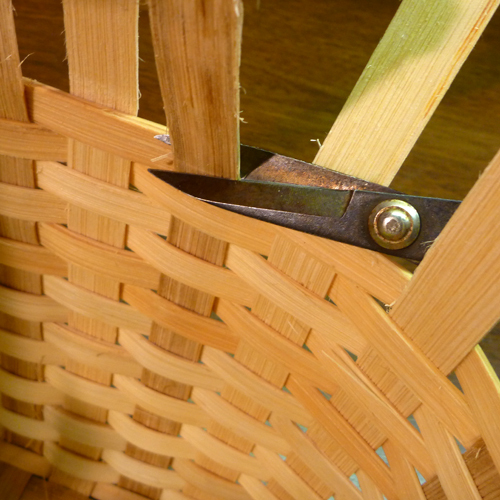 Step 2: Using the flat-tipped basket tool, open up a space behind the inside weavers to tuck the folded stakes. 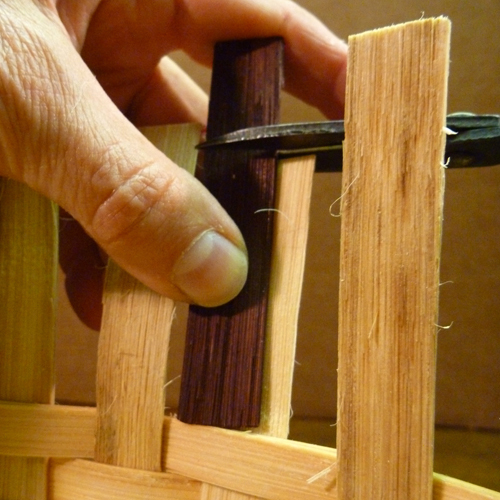 Do this with each outside stake, being sure to push the stake down to fit snugly over the last row of 3/8” reed. 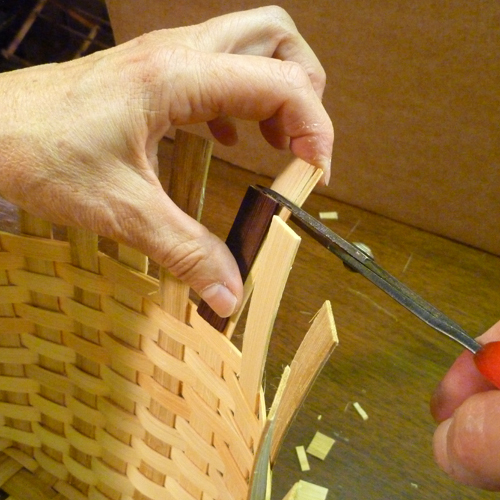 Step 3: Once all of the outside stakes are tucked, pull the inside stake away from the last row of 3/8” reed and clip the stake off level with the 3/8” weaver. Step 4: Repeat on all inside stakes. 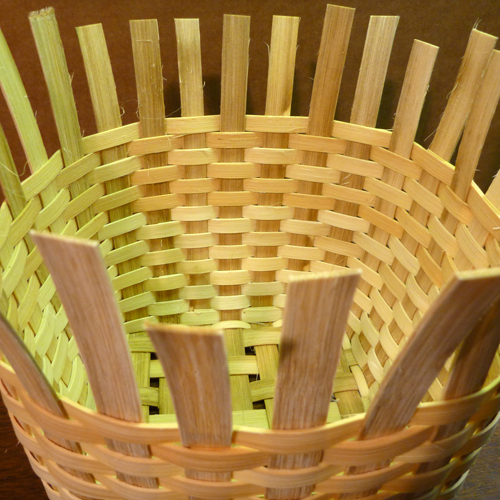 Step 5: Look at the outside of the basket to see if the stakes that were tucked are lined up neatly behind the front of the stake. 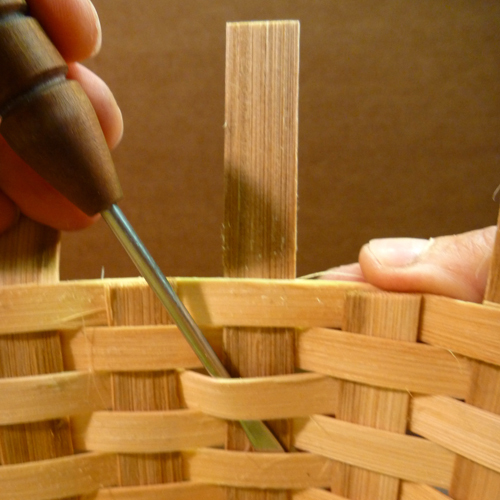 Use the flat-tipped tool to push the tucked stakes into place. 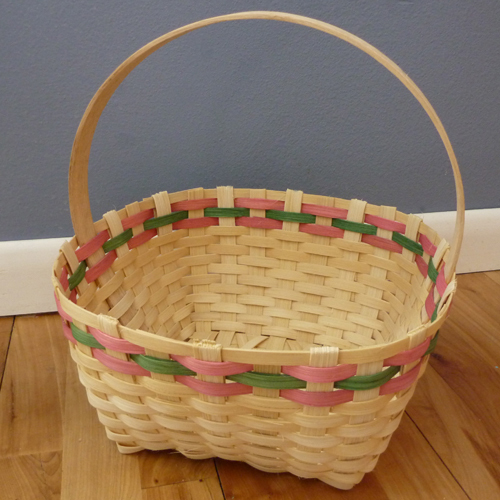 Now each stake should be either hidden inside the basket or clipped off! Nicely Done! There are no comments yet... You could be the first!